Equinox lands $130 million investment to advance projects. Gold exploration company to be acquired by Semafo. Barrick makes a hostile takeover bid for Newmont - and fails. A look at that top news in the gold mining sector and more for February 2019. I'm here to provide you with the top news in the gold mining sector for February 2019. We're seeing a little bit of a sell-off in gold prices lately. This does not look like a huge cause for concern in my opinion, instead, it looks like a minor pullback after a very strong rally to start the year. Gold is back below $1,300 an ounce for the time being. 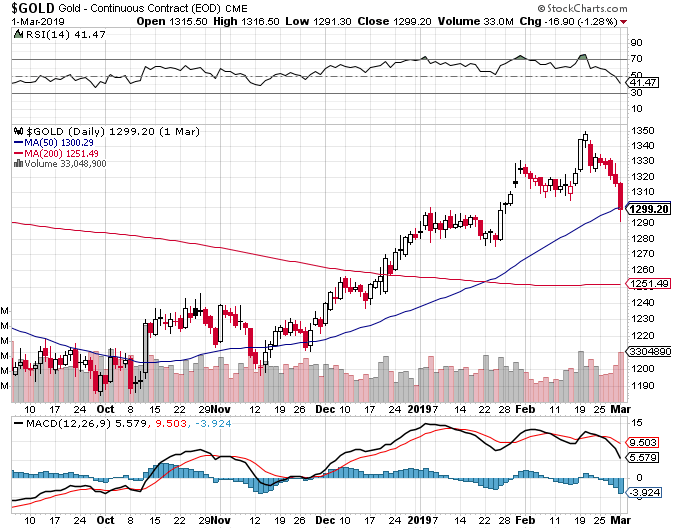 But prices are still well above the 200-day moving average ($1,251) and up close to 10% since Dec. 1. 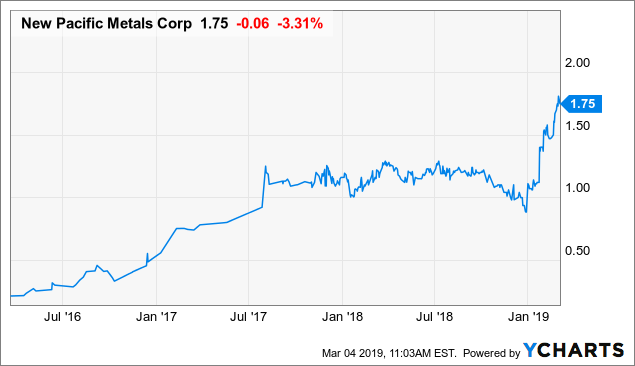 It has been a pretty busy month in the gold sector, with several acquisitions and one very surprising announcement from a gold senior. Here's a look at the top news in the gold mining sector for February 2019. Subscribers of my marketplace service get access to my real-life portfolio holdings, live chat and a full list of my top picks for gold and silver miners in 2019. Pure Gold Mining (OTCPK:LRTNF) has released a resource update and feasibility study for its high-grade Madsen project in Canada. The Madsen project benefits from existing infrastructure and permits, which is why its estimated upfront capital came in at just $95 million - above the PEA study figure, but still a very reasonable amount of capital to construct a gold mine. The feasibility study outlines a profitable mining operation, with peak production of 125,000 ounces per year, life-of-mine AISC of $787/oz and room to grow production in the future through satellite deposits that were not included in the study. Exploration success at Madsen and the Fork, Wedge and Russet South provides some upside to the feasibility study figures. Prospect generator Altius Minerals (OTCPK:ATUSF) made news this past month when it announced it has purchased a renewable energy royalty. Altius paid $30 million to Tri Global Energy to gain future royalties on a portfolio of wind energy development projects. The investment is structured so Altius pays $7.5 million upfront, and the rest of the investment in tranches over the next three years as TGE achieves certain project advancement milestones. The royalty portfolio is estimated to generate $3-$4 million in annual revenue, according to Altius. Semafo (OTCPK:SEMFF) had a few big announcements this past month. 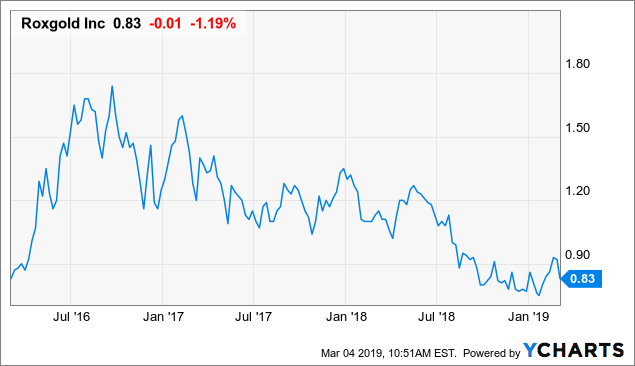 On Feb. 11, it announced it will acquire the remaining shares it does not own in gold explorer Savary Gold for $C.10 per share, or C$22.7 million, a 100% premium. 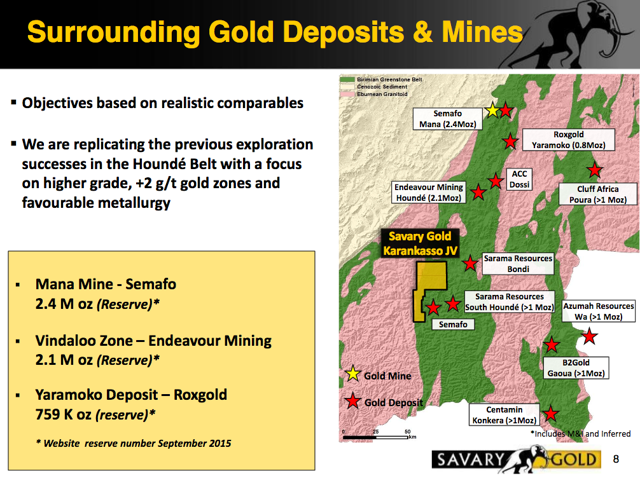 Savary owns a large land package on the Hounde Greenstone Belt, including a 75% interest in the Karankasso project, which holds a 805,000 ounce inferred resource (2.03 g/t). Semafo separately announced a maiden inferred mineral resource estimate of 361,288 ounces of gold (5.35 g/t) at its Bantou Zone, located near Karankasso and 170 kilometers south of Semafo's Mana mine. Ore from the entire consolidated land package could be trucked to a central plant, according to Semafo. This area has long been ripe for consolidation and I don't find this news all that surprising. It will be interesting to see if further consolidation occurs in this region. Roxgold (OTC:ROGFF) owns the Yaramoko gold mine in Burkina Faso, but has traveled to Cote D'Ivoire for its most recent acquisition. The company has acquired the Séguéla Gold Project from Newcrest for $20 million, plus a further $10 million payment upon first gold production. Séguéla's Antenna deposit hosts an inferred mineral resource of 430,000 ounces of gold at 2.3 g/t. The deposit contains near-surface, potentially open-pittable gold mineralization and is located near existing infrastructure, according to Roxgold. Newcrest already invested approximately $21 million and drilled 117,000 meters at the property, so Roxgold has the ability to build upon the existing exploration work already completed. The total land package covers 3,298 square kilometers. Other gold miners currently operating in Cote D'Ivoire include Orca Gold (OTCPK:CANWF), Endeavour Mining (OTCQX:EDVMF), and Perseus Mining (OTCPK:PMNXF). Gold explorer Osisko Mining (OTCPK:OBNNF) announced that is will spin-out several non-core exploration assets to Chantrell Ventures Corp. for $99.9 million in common shares of Chantrell. Osisko assets to be transferred include the Marban deposit, Garrison deposit, exploration properties and a portfolio of selected securities, according to the company. In connection with the deal, Chantrell will raise $10 million via a private placement and consolidate its shares on a 40:1 basis. New Pacific Metals (OTCQX:NUPMF), an honorable mention top silver stock pick for 2019, has released some new drill results from 2018 drilling at its Silver Sand project in Bolivia, and investors are starting to take notice. New Pacific's first batch of results were previously released in January and that included the first 98 drill holes. This new release covers the remaining 97 drills, covering an area of 1,100 meters long north-south and 800 meters wide in east-west direction. "Assay results of surface sampling of hundreds of artisanal mining dumps and chip samples from artisanal underground mining tunnels reveal the silver mineralized fracture zones could extend at least by 3,000 m to the north and 500 m to the west and the east, as well as extending up to 1,000 m to the south of the areas drilled in 2018. " Insiders also have been buying the stock lately, with director John McCluskey recently purchasing 102,500 shares in the public market, according to CanadianInsider.com. Junior miner Equinox Gold (EQXWF) has landed a $130 million investment in convertible notes from a company called Mubadala Investment Company. The company will use the proceeds to refinance some debt and to construct its Castle Mountain gold mine in the U.S. The terms of the deal seem pretty favorable for Equinox. 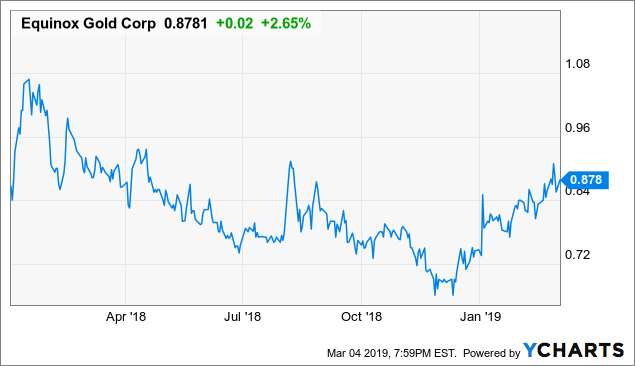 The notes carry a five-year term and a 5% interest rate, payable quarterly, with the notes convertible at $1.05 per share (a 25% premium to Equinox's 10-day volume weighted average share price). Castle Mountain is expected to become Equinox's third producing gold mine - a pre-feasibility study estimates 2.8 million ounces of gold production over a 16-year mine life and all-in sustaining costs averaging $763/oz. Major streaming company Royal Gold (RGLD) has announced the purchase of a silver stream on the Khoemacau Copper Project in Botswana with Khoemacau Copper Mining, which is a private company and wholly owned subsidiary of Cupric Canyon Capital LP. Khoemacau is primarily a copper mine, with average annual payable copper production of 62,000 tonnes, but it also expects an additional 1.9 million ounces of silver production per year. Annual cash costs (C1 plus sustaining costs) are estimated at $1.71 per copper pound before accounting for the silver stream. Royal Gold will pay $212 million in exchange for 80% of the silver produced from this mine until certain delivery thresholds are met, and Cupric can ask for an additional $53 million payment, which would give Royal Gold 100% of the silver produced. Royal Gold will pay 20% of the silver spot price, and provide a $25 million debt facility to Khoemacau. The stream is expected to result in 1.5 million ounces of silver production (80% stream rate). At $15/oz silver, this would produce $18 million in annual revenue - at $20/oz silver, it would produce $24 million annually (my estimates). While Khoemacau carries a large reserve base of 30.4 million tonnes (2% copper and 19.5 g/t silver), there appears to be massive exploration upside from its resource base, which contains 91.7 million tonnes at 2.1% copper and 21.9 g/t silver. Cupric's goal is to convert 90% of the first 10 years of planned production into measured and indicated resources, according to the press release. Several major and mid-tier gold mining companies reported quarterly and annual results recently. Yamana (AUY): Yamana Gold announced strong 2018 production of 1.04 million ounces of gold, 8.02 million ounces of silver and 129.2 million pounds of copper. Its 2019-21 outlook says investors should expect a rise in both gold and silver production as the Cerro Moro mine ramps up. The company also has seen insider buying recently, with chairman Peter Marrone buying 75,000 shares in the public market on March 1. 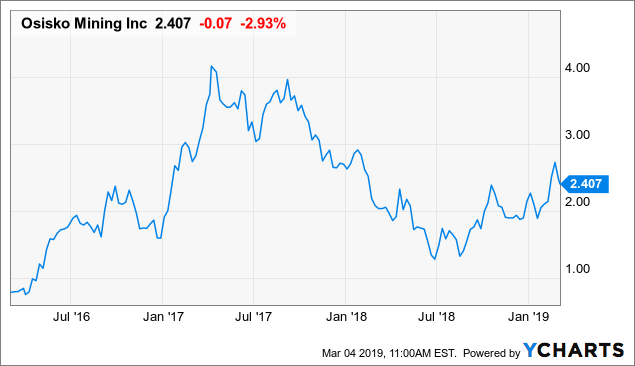 Agnico Eagle Mines (AEM): Agnico Eagle Mines reported a quarterly net loss of $393.7 million, or a loss of $1.68 per share, for the fourth quarter of 2018 as it took an impairment charge on the Canadian Malartic mine and the El Barqueno project. But it also expects a strong 2019, with 1.75 million ounces of gold production and all-in costs forecasted between $875 - $925/oz. The company expects AISC to decline further in 2020-21. IAMGOLD (IAG): IAMGOLD achieved its 2018 guidance, with production of 882,000 attributable ounces of gold and all-in sustaining costs at $1,057 per ounce sold. Guidance for 2019 calls for similar results, with expected production to fall between 810,000 to 870,000 ounces at AISC between $1,030 - $1,080. Its liquidity position remains a key advantage over its peers, with over $1 billion in available capital. 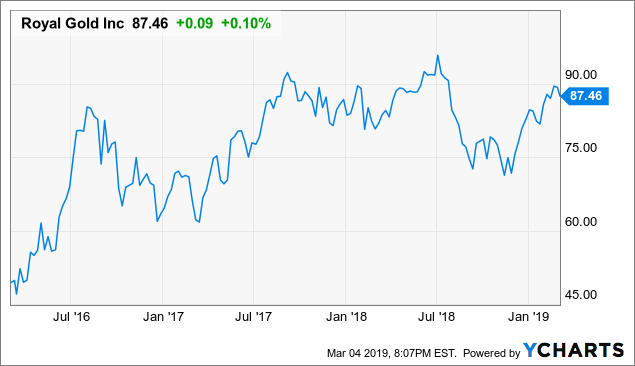 Newmont (NEM): Newmont put together a strong 2018, with operating cash flow of $1.8 billion, free cash flow of $805 million and net income of $280 million, or $.53 per share. The company produced 5.1 million ounces of gold at $909 AISC. It's in a strong financial position with just $900 million net debt and $3.4 billion cash on hand. Investors can expect strong results in 2019, with similar guidance released. Kirkland Lake Gold (KL): Kirkland Lake put together arguably the strongest year of any gold miner. 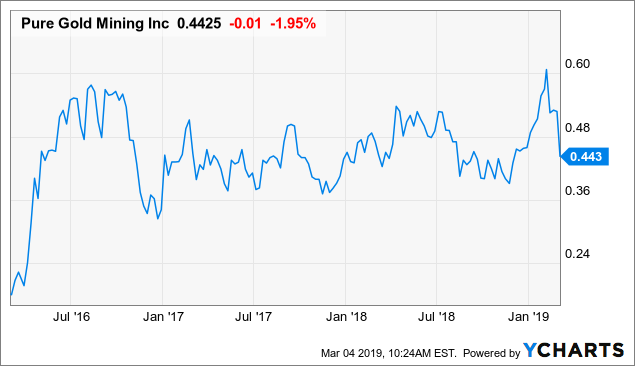 Highlights of its earnings include: 21% increase in production to 723,701 ounces, 16% decline in AISC to $685/oz, operating cash flow of $543 million, free cash flow of $250 million, and net earnings of $273.9 million, or $1.30 per share. Kirkland Lake is targeting 920,000 – 1,000,000 ounces of gold for 2019, a significant increase in its previous guidance, with AISC estimated between $520 - $560/oz. Kirkland Lake Gold was my top overall gold stock pick for 2017, and then named an honorable mention pick in 2018. 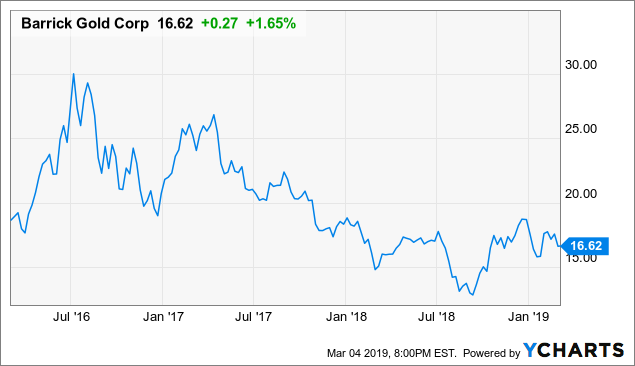 In an exclusive article to subscribers, I later called the stock a buying opportunity in May of 2018 at $17.90/share. 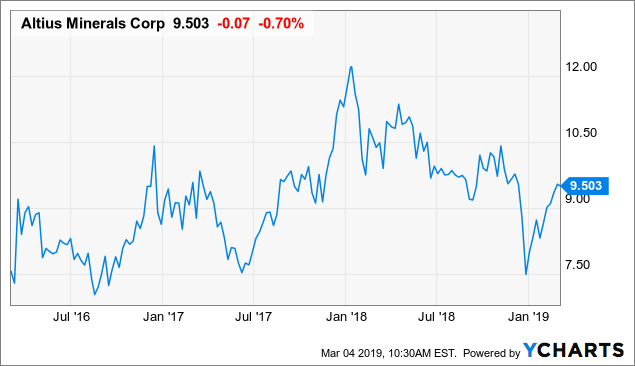 Barrick Gold's (GOLD) hostile takeover attempt for Newmont Mining takes the top news this month. As I stated in recent coverage, the deal makes much more sense for Barrick Gold than it does for Newmont. Barrick was not offering any takeover premium, instead trying to sell Newmont shareholders on $7+ billion in synergies (pre-tax). 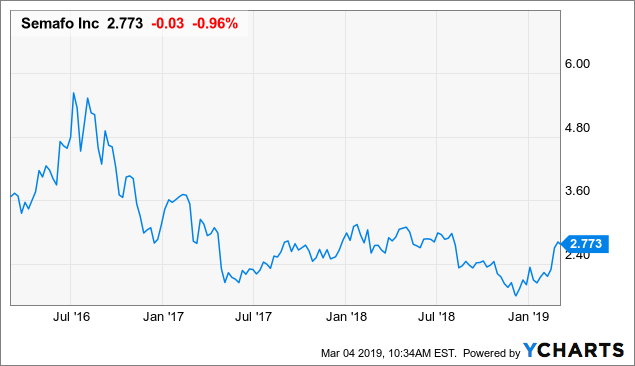 On March 4, Newmont formally rejected Barrick's hostile takeover bid, and I can't say that I'm surprised. It looks like Newmont will likely continue with its planned takeover of Goldcorp (GG) instead. Barrick is still open to talking about a proposed joint-venture on the companies Nevada properties. On March 5, Newmont confirmed that it is eager to discuss the proposed joint venture with Barrick. What top news did I miss in the past month? Disclosure: I am/we are long KL, IAG. I wrote this article myself, and it expresses my own opinions. I am not receiving compensation for it (other than from Seeking Alpha). I have no business relationship with any company whose stock is mentioned in this article.